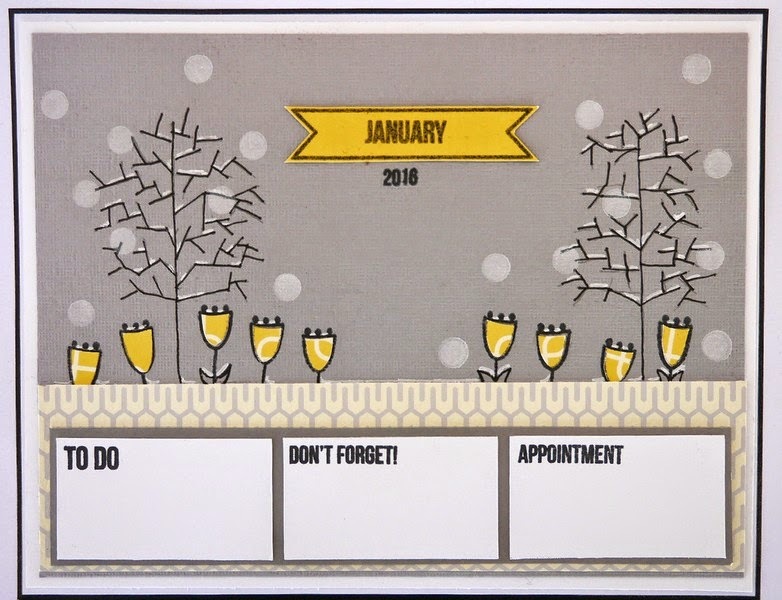 Hello, it's my turn (Claire N) to share with you the calendar page I have created for January. This has been on my wish list of projects to do for a very long time, but never actually got around to doing. So when Sarah asked us for our ideas and plans for the blog in 2015, it seemed the perfect opportunity to begin. Using Sarah's downloadable template, I have created a scene reminiscent of January. This first month of the year can tend to be flat and grey, but in crafting grey is a fabulous colour to pair with vibrant colour. So here I have added an injection of yellow to bring a bit of sunshine to the scheme. 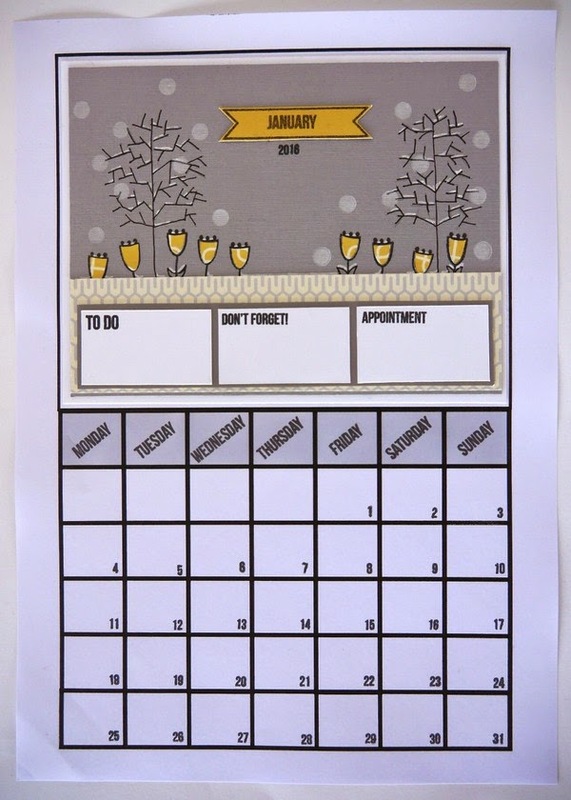 Using a calendar template, that will be available via Sarah Hurley's website, I have created the first month, January. We will have a Pinterest board where myself, Clare, and Jaine will post our monthly pages, and we would love for you to join in too. We will post our pages each month regularly to build up an entire calendar for you. I will be working a whole year in advance and preparing this as for 2016, and will be perfect to give as a gift. Sarah's papers from monthly kit club.